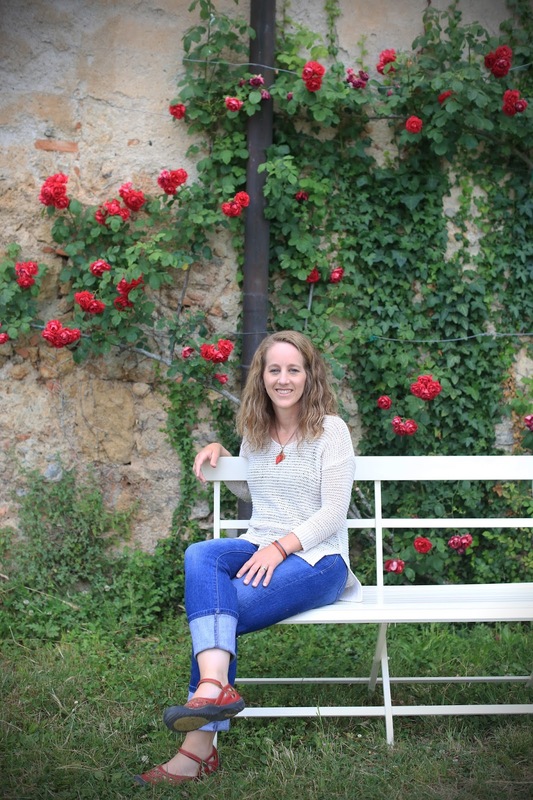 In early June, I had the pleasure of returning to Italy to indulge in a siesta. Italy is my absolute favorite country to visit. And, I'm lucky to say that this was my fourth trip (and definitely not my last). I was even more lucky to share the experience with my best friend Julie. And, it's thanks to Julie that we were able to attend the "La Dolce Vita" Creative Lifestyle Retreat hosted by the amazing Carolyn Peeler and Terri Brush. I'm still not sure how she found the retreat, but it was definitely serendipity. It was the right balance of creative activities, exploring, shopping and eating. And most important we met some amazing women. Truly amazing! 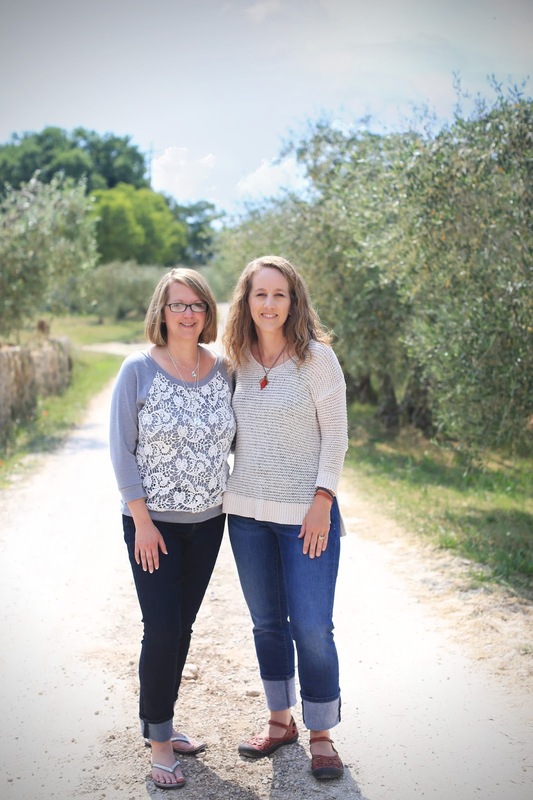 While retreating in Tuscany, we had a cool opportunity to have professional portraits taken by the very talented Tiffany Kirchner-Dixon of The Fancy Farmgirl. 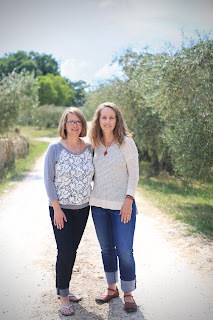 Here is the wonderful friends photo that she took of us in the olive grove. Love it! Tiffany also took several individual shots. Though I was a bit nervous to have my photo taken (thinking flashbacks to senior photos and bad 80's hair), I was also excited since I've been wanting a new photo to represent my artistic self. These two photos are my favorite. And here's why. I like not only the composition, but the metaphor created by being on a road. It reflects to me life's journey that I am on and my interest in exploring not only the geographical settings presented, but my own personal exploration of self. 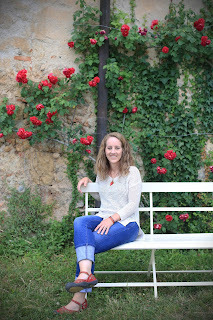 I also like my red Mary Jane shoes! This photo is also a fan favorite and a good representation of me as it has a splash of color in the fiori (flowers) that I love and paint. Someone even pointed out that some of the flowers look a bit like hearts - could that be my love of Italy? Maybe. It's hard to decide - but either way I'm pleased to now have them both in my photo collection beyond just having the memories imprinted on my brain (and on my Instagram and Facebook accounts). If you'd like to see more of my photos from Italy - head on over to the world of social media. You'll find my documented journey there. And if you can ever make the trip to Italy - GO! And maybe you could send me an invite too.